Official Theatrical Trailer of Expendable 3 Starring all the V. Big stars including Sylvester Stallone, Jason Statham, Antonio Banderas, Jet Li. Film is directed by Patricl Hughes and slated to release on August 15th, 2014. 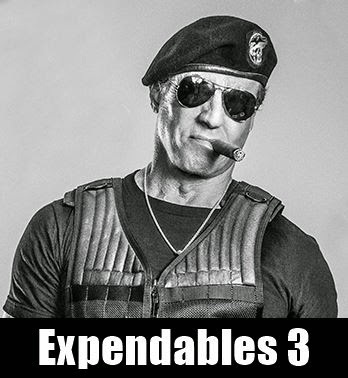 Official Theatrical Trailer of Expendable 3 Starring all the V. Big stars including Sylvester Stallone, Jason Statham, Antonio Banderas, Jet Li. Film is directed by Patrick Hughes and slated to release on August 15th, 2014. Screenplay: Sylvester Stallone and Creighton Rothenberger & Katrin Benedikt. Story: Sylvester Stallone.